I grew up eating the most popular Malaysian dishes. So I was so excited to go to Malaysia (Kota Kinabalu, Kuala Lumpur, and Sandakan) for my cousin’s wedding. The food was truly amazing! 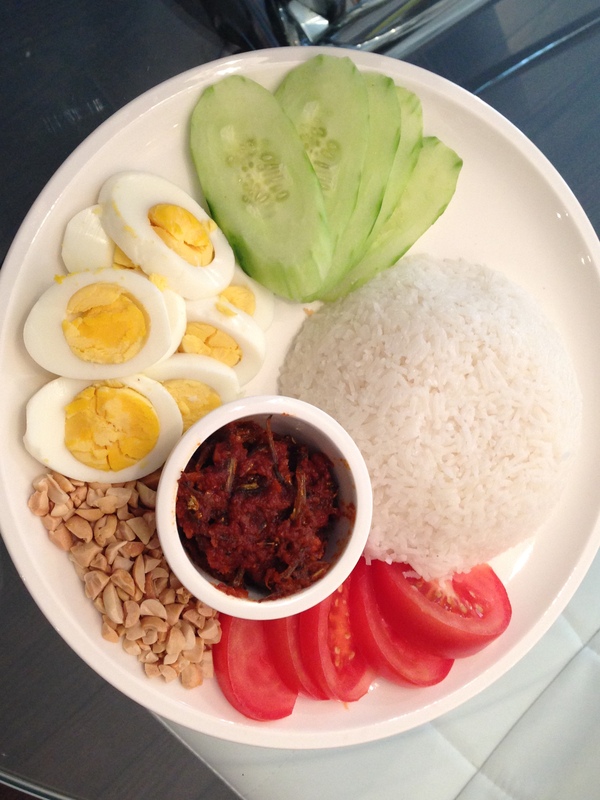 One of the simplest dishes to make is the rice dish, nasi lemak. It comes with some side dishes with the signature hot sauce, sambal with anchovies. Korean restaurants and food courts put too much salt and MSG in their pork bone soup, so, naturally, I started making my own. It’s really easy to make and it’s freezer-friendly. 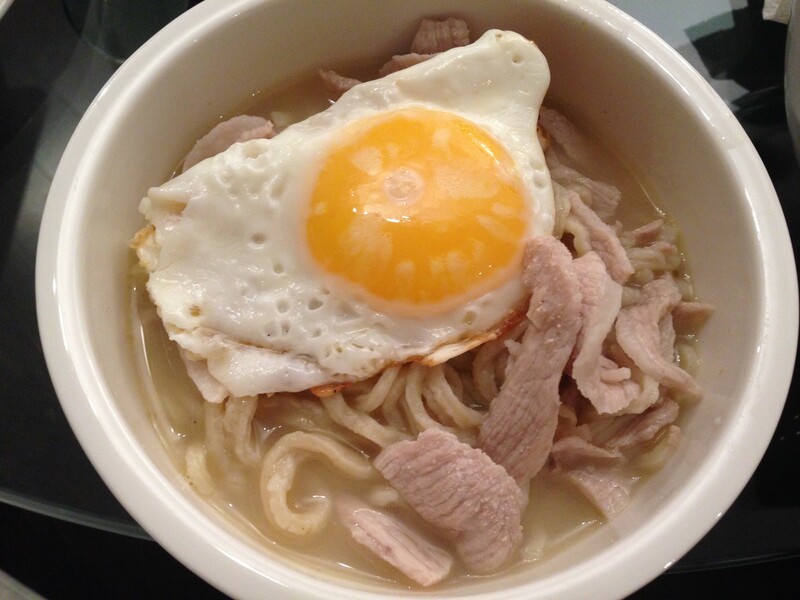 The broth is spicy and salty with a hint of fermented flavour from bean paste. 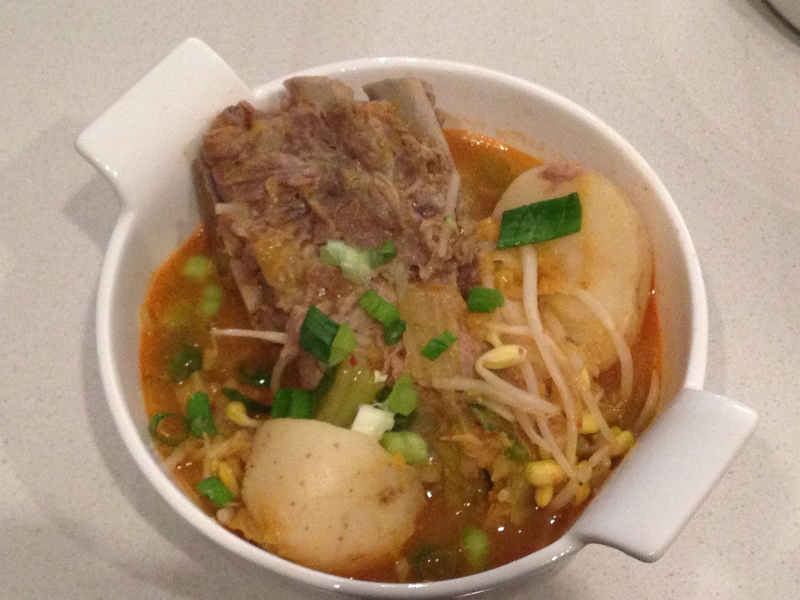 You really need to use your hands to get to the flavourful meat and soft bone between the pork neck bones. So this dish is usually only served to family and close friends. But sometimes I will remove all of the meat from the bones prior to serving it. That way, it’s easy to eat, it’s not messy, and no one feels embarrassed. 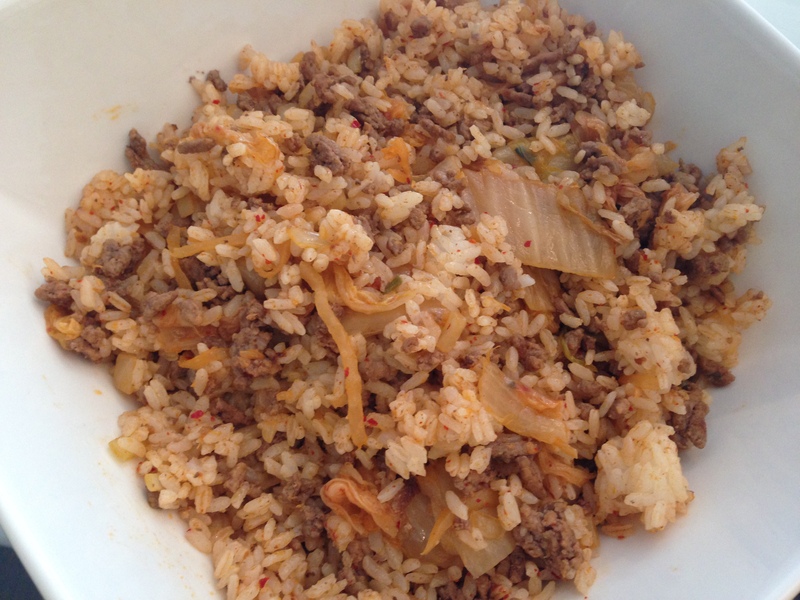 My ex’s mother introduced me to beef and kimchi fried rice years ago. It doesn’t look like much, but it is addictively good. It’s also easy and cost-effective to make, which is why I was outraged when I saw it being priced at $14 in a Korean restaurant recently. It inspired me to finally get around to sharing my recipe. You could also top it off with a fried up (sunny side up) and/or add other vegetables. Want to try a fusion version of this? Top it with cheese and melt it under the broiler in the oven. Note: If you prefer more red colour, you can add Korean red pepper paste (gochujang). In Korean cuisine, small flavourful side dishes are often served with each meal. This broccoli is one of those delicious Korean side dishes that can also be enjoyed as a cold salad. This would be a great accompaniment for kalbi (BBQ beef short ribs) (see recipe here), or jap chae (see recipe here). 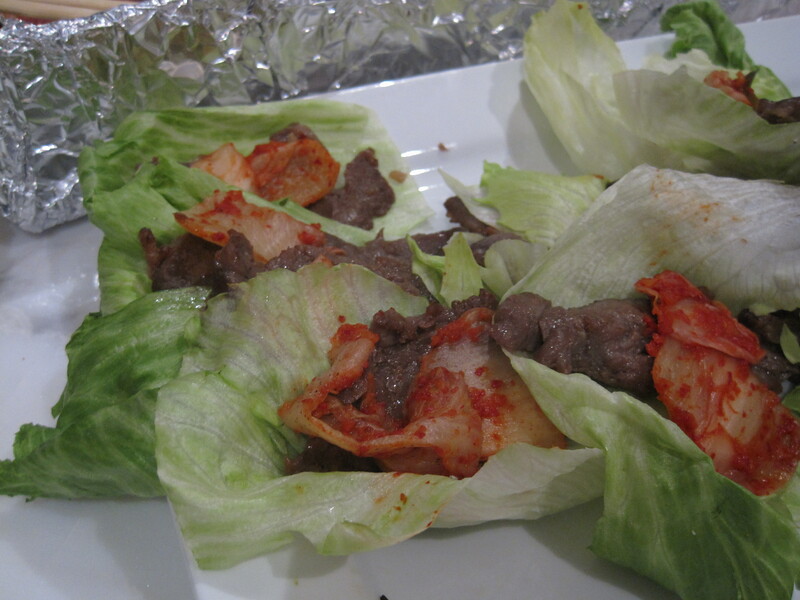 One of the hors d’oeuvres that I made for John’s housewarming was Korean BBQ beef in lettuce cups. I used my Korean kalbi (BBQ short ribs) marinade on thin slices of prime rib, but lean pork would work well too (see the kalbi recipe here). The sweet and savoury marinade contrasted nicely with the sour and spicy kimchi. 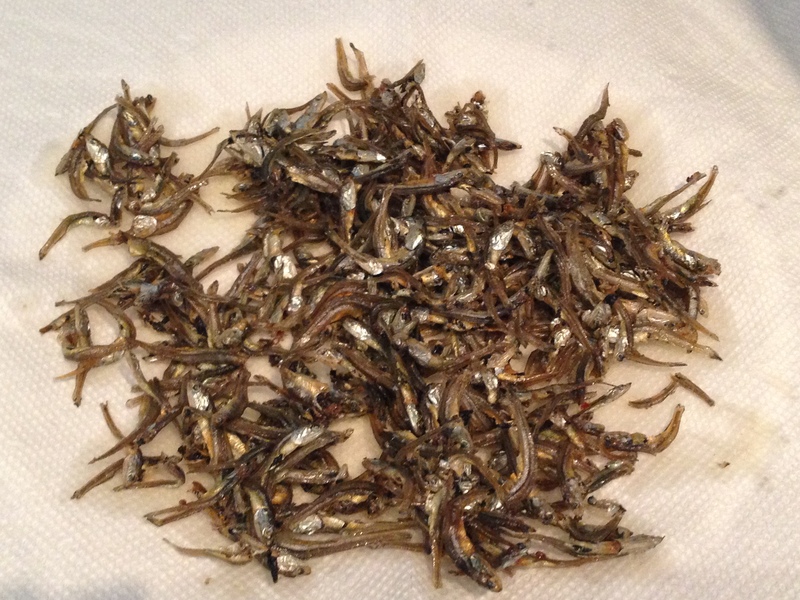 These were flavourful, easy to eat, easy to make, carbohydrate-free, and everyone’s favourite of the items that I made. If you wanted to serve these as an entree for a sit down meal, serve the beef with white rice on the side and allow your guests to assemble their own lettuce wraps. My family and I LOVE Japanese sushi. In fact, sushi is my all-time favourite food. California rolls are, by no means, our favourite roll, but they are the ones that we make at home the most often, because the ingredients are affordable and easy to prep. The first time I made California maki for my family, I couldn’t make the rolls quickly enough to keep up with the rate at which they were eating them. I finished that dinner feeling rushed, exhausted, and hungry! So I stopped making sushi for a long time after that. Luckily, one life-altering day, my then-boyfriend’s mom made us dinner by serving all of the ingredients for California rolls and allowing us to assemble our own hand rolls at the dinner table. It was genius! It had never occurred to me to make hand rolls before, because my family Never orders them from the restaurants! The best part is that the cook only has to prepare the individual components, which requires minimal cooking – perfect for weeknight and summer-time dinners. The guests have fun assembling their own hand rolls to their own taste. I’ve since done this countless times for myself, my family, and guests. It’s also makes for a great and easy food station at larger parties. If you don’t like artificial crab meat, I’ve done this using smoked salmon instead. 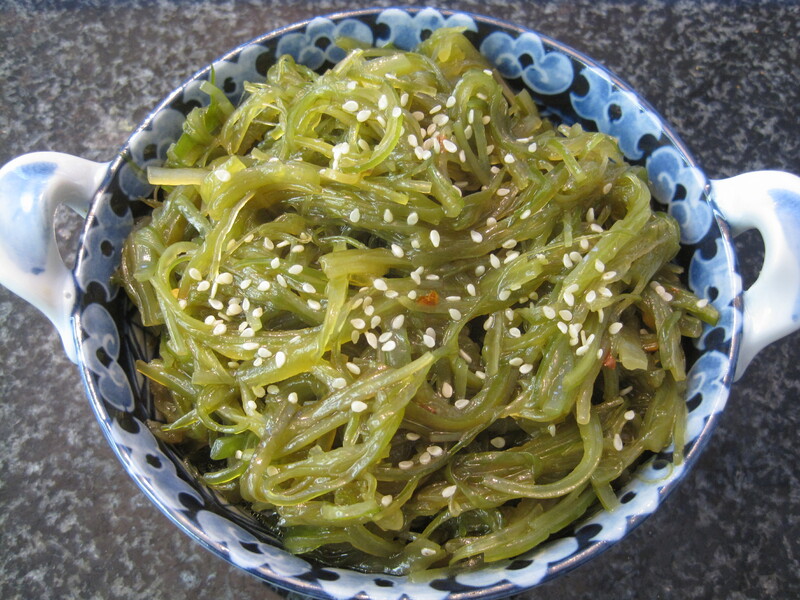 Seaweed salad is my favourite Japanese side dish. The seaweed salad is bold in flavour with the naturally salty seaweed paired with toasted sesame oil and rice vinegar. Seaweed salad is, in my opinion, very expensive when purchased pre-made. Luckily, it is very easy, and much less costly, to make at home. Although, many different varieties of seaweed can be used for salad, it can be difficult to find the most popular type. After years of searching, I finally found some at the Asian grocery store chain, T & T. Check the refrigerators and the freezers. Also, I haven’t been able to figure out why the restaurants’ seaweed is always so much greener in colour. If you know the reason behind this, please let me know in a comment! Thanks so much! Frozen wakame was used for this seaweed salad. Kueh is one of my favourite Malaysian desserts. It is steamed, mildly flavoured, soft, chewy, and slightly sticky. 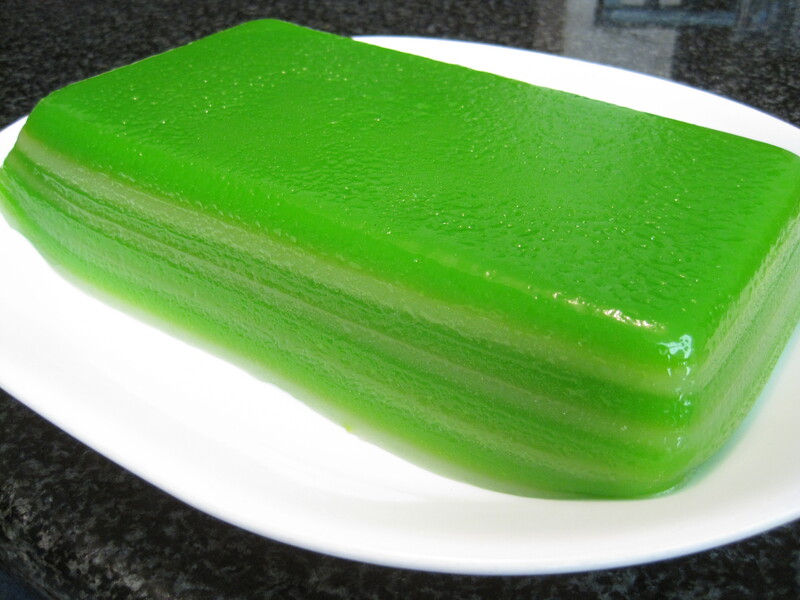 Here is a recipe for a 7, 8, or 9 layer (your choice), 2 colour kueh. The main flavours to this kueh are coconut and pandan. When I traveled to Malaysia in May 2013, I tried many new foods in Kota Kinabalu, Sandakan, and Kuala Lumpur. 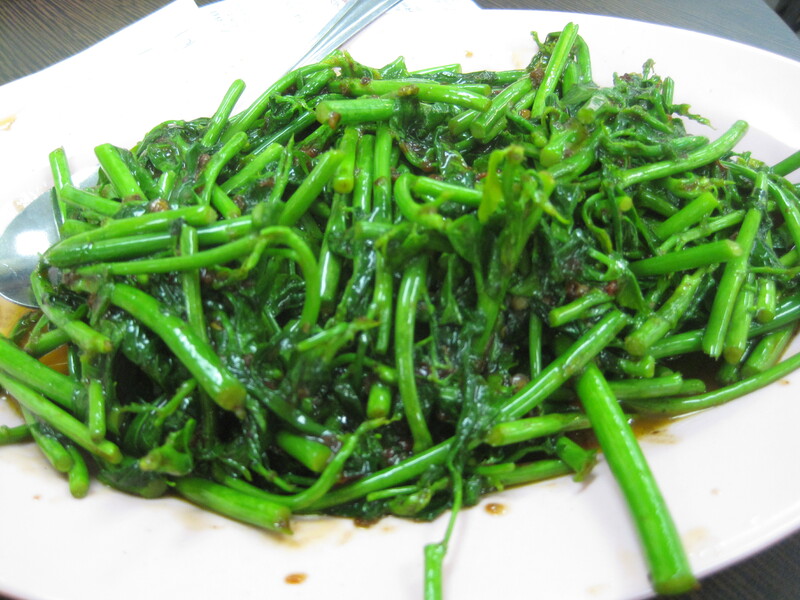 One of my top three favourite things was sabah vegetable. The stems of this leafy green vegetable have, in my opinion, the perfect crispy and crunchy texture. To my knowledge, Sabah, Malaysia does not export this local vegetable, so be sure to look for it in restaurants the next time you’re in Sabah, Malaysia. I tried it stir fried with sambal belacan. Note that the noodles should be a bit darker in colour. I didn’t have dark soy sauce at the time. 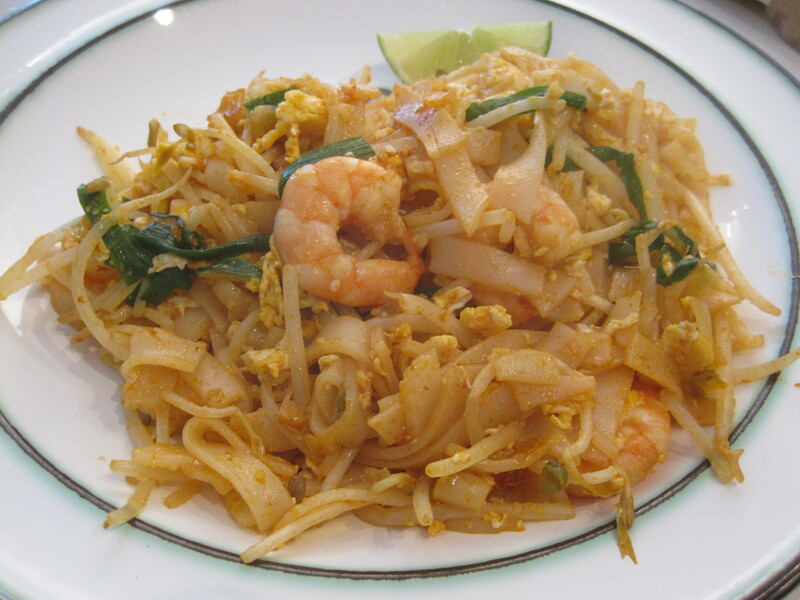 Char kway teow is a stir fried, flat rice noodle dish. I’ve now had delicious char kway teow in Brunei and Malaysia. My favourite is Penang style. This recipe is a recreation of my preferred version of Penang style char kway teow. Hong Kong style milk tea is one of my favourite types of tea. A good cup of milk tea should be strongly brewed and well balanced with creaminess that isn’t too rich, and sweetness that doesn’t overpower. It should also feel and taste smooth, silky, and light in weight. The secret to making the best milk tea lies in the blend and ratio of different types of black tea. Ceylon tea is a common component. Every establishment guards its recipe. 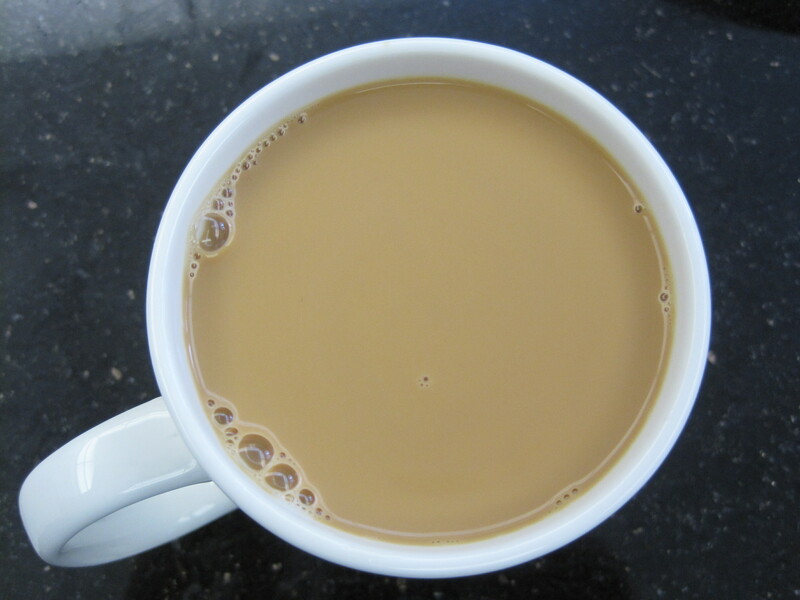 Luckily, it’s not difficult to make authentic milk tea at home. I’ve shared three recipes below. The recipes differ in authenticity, in the amount of work involved, and in the types of equipment required. I made this for my parents the day after they got back from a trip to Hong Kong and they said that it tasted just like the milk tea they had there. My uncle, who travels to Hong Kong 3 times every year, was surprised by how good it was too. Thanks for checking out Cooking with Alison! My goal is to introduce you to your new favourite recipes and to help you save money on groceries. I post regularly, so come back soon or sign up for an email subscription! Enter your email address to subscribe to this blog and receive notifications of new posts by email. Don't forget to confirm your subscription. Cooking with Alison is now an Amazon Influencer!